"There's a tactile satisfaction that, I think, is part of our humanity." Gravitas has released an official trailer for a documentary titled California Typewriter, a "meditation on creativity and technology" focusing on the beloved typewriter. The titled "California Typewriter" is actually one of the most well-known typewriter stores, still surviving today as one of the only repair shops dedicated to the mechanical machines. Directed by Doug Nichol, the documentary is also a story about people whose lives are connected by typewriters. It features discussions / interviews with Tom Hanks, John Mayer, Sam Shepard, David McCullough and others. This doc first premiered at the Telluride Film Festival and it looks like a fascinating doc that goes beyond just the mechanics of these everlasting writing machines. I'm actually very excited to see this. California Typewriter is a documentary portrait of artists, writers, and collectors who remain steadfastly loyal to the typewriter as a tool and muse, featuring Tom Hanks, John Mayer, David McCullough, Sam Shepard, and others. It also movingly documents the struggles of California Typewriter, one of the last standing repair shops in America dedicated to keeping the aging machines clicking. California Typewriter is directed by American filmmaker Doug Nichol, making his feature-length debut after many shorts and music videos previously. This first premiered at the Telluride Film Festival last year and has been playing at multiple festivals last year and this year including Hot Docs and San Francisco DocFest. 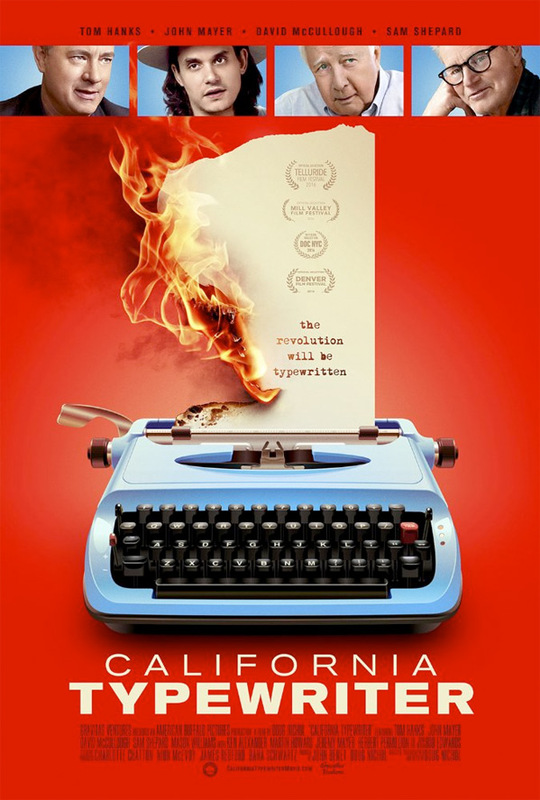 Gravitas Ventures will release California Typerwriter in select theaters starting August 11th this year. Who else is into this?